A new study concludes that Prius repairs cost 8.4 percent more than repairs on non-hybrid economy cars. 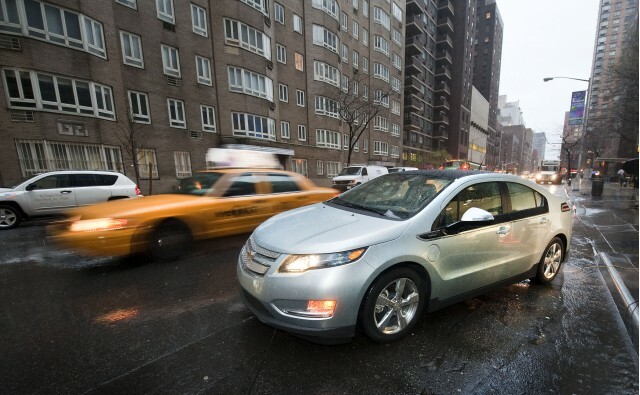 It's a wonderful TV news flash: Blind people in peril from killer electric cars! News at 11. The fear is that electric vehicles are so silent that blind people can't hear them coming, so new draft safety regulations may now require electric vehicles to emit sounds. There's just one problem: Accident data from the National Highway Traffic Safety Administration show no increase in deaths for blind people in pedestrian accidents during the 10 years that hybrid-electric vehicles have been sold. Full hybrids, including the definitive 2010 Toyota Prius, are a proxy for EVs because they can operate in full electric mode at low speeds. With the gasoline engine off, the only sounds they emit are tire noise plus a slight whine from the electric motor. Preliminary data seemed to show that hybrids were more likely to be involved in pedestrian crashes or hit cyclists. 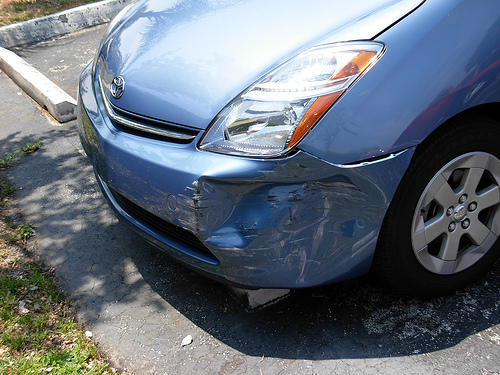 An NHTSA report issued last November aggregated accident reports from certain states. It concluded that hybrids like the Toyota Prius were involved in pedestrian crashes at a rate of 0.9 percent, half again as high as the 0.6 percent rate for gasoline vehicles. Hybrids were also twice as likely to have hit cyclists, at a rate of 0.6 percent versus 0.3 percent. To its credit, that report noted its own methodological weaknesses. 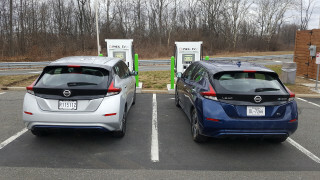 Only 12 states record vehicle identification numbers (VINs) of cars involved in accidents, allowing hybrids to be distinguished from gasoline cars. And only accident data from 2000 or later was used, cutting the size of the sample set. But now EV enthusiast Mark Larsen (he's also an Emeritus Professor of Spanish at Utah State University) has analyzed some additional data. He used 1994-2008 figures from the Fatality Reporting System maintained by the NHTSA. If silent hybrid vehicles posed a threat to pedestrians, he reasoned, then the number of pedestrian deaths should have risen since 2000, when the first hybrids were sold. 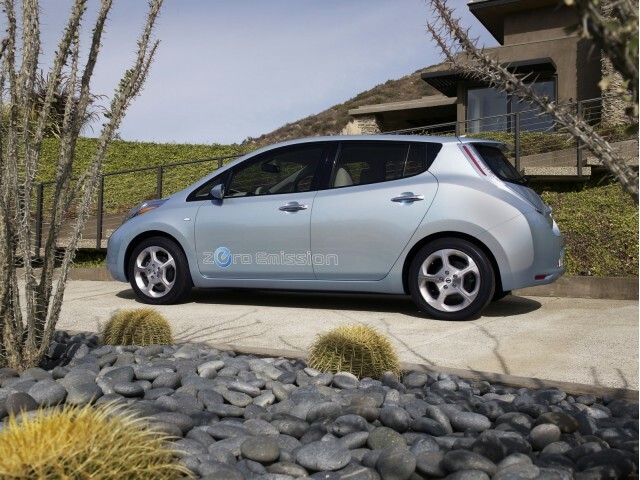 There are now roughly 1 million hybrid-electric vehicles among the 300 million on U.S. roads. But in fact, despite increasing numbers of hybrids on the roads, the rate of pedestrian fatalities has in fact fallen over that same period. We like Larsen's analysis, but we would observe that it has two problems. First, it doesn't factor in Vehicle Miles Traveled, which is correlated with a fall in accident deaths. The rate of deaths per VMT has declined for decades, as cars come with more crash safety equipment. Second, Larsen really only addresses half the issue. Fatalities from accidents are one data point, but injuries would be another--and are far more common than deaths. Since hybrids and electric vehicles are at their quietest at low speeds--below 15 miles per hour, say--we'd suggest that if there is a danger from silent vehicles, it would be reflected not in deaths but in injuries. Larsen nods to this by noting that throughout the study period, not a single blind pedestrian was killed by a vehicle traveling at less than 20 miles per hour. His report is silent, however, on non-fatal injuries that may have been suffered by blind pedestrians. We eagerly await the arrival of someone's analysis of injury data along the same lines as Larsen's fatalities study. Meanwhile, provisions in Section 109 of the proposed Motor Safety Act of 2010--now in front of the U.S. Senate's Commerce, Science, and Transportation Committee--require "new electric or hybrid vehicles to provide an alert sound” at under 20 mph. As Larsen points out, this is badly written legislation. It doesn't define the problem--danger from quiet vehicles--objectively, by specifying perceived decibel levels at specific distances. It ignores quiet gasoline cars by singling out only two types of vehicle powertrains that are deemed to be dangerous. Worse, it doesn't spell out risk-reduction goals or define what success would be. It simply mandates that a specific technological solution be included in those two vehicle types. Nonetheless, General Motors said it would work with the National Federation of the Blind on an audible warning for its 2011 Chevrolet Volt range-extended electric car, which will hit showrooms in November. That sound will be driver-controlled, not automatic. Similarly, Nissan is working on a sound that will be triggered from 0 to about 12 miles per hour in its 2011 Nissan Leaf electric car. Beyond that speed, said Mark Perry, its North America's director for product planning and advanced technology, tire noise suffices.